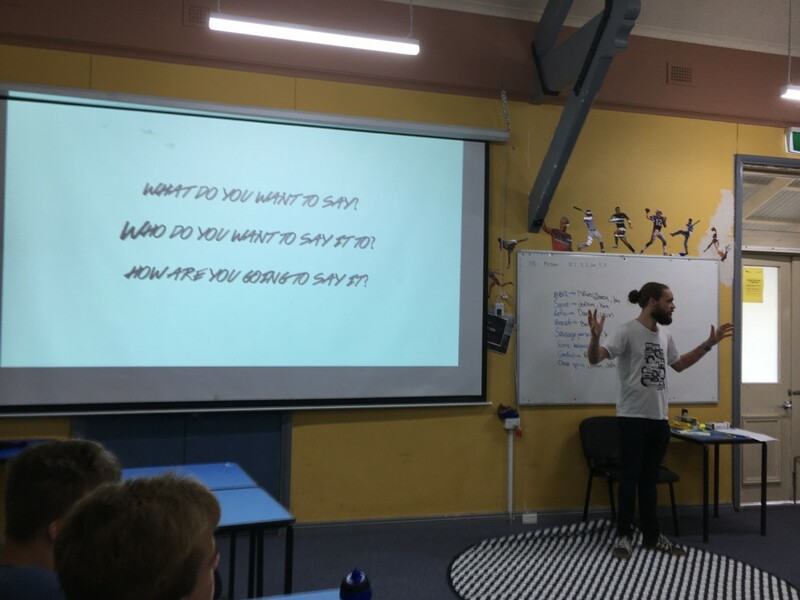 Recently a group of Year 9 and 10 students were selected to attend a workshop about the power of the spoken word, to complement their studies this term. Students were selected based on a combination of criteria; specifically, passion for the ‘Power of Speech’ unit they have been studying, exceptional results in both parts of their assessment task, consistent effort and enthusiasm across this term and last year in English, as well as other subject areas. Individual interest in creative writing, drama and performance was also considered. The forum was led by Will Small from Lead By Story. Will’s workshop focuses on the impact students can have by speaking up, using poetry and speech in a range of contexts. This was an extension to the ‘Power of Speech’ unit students have studied this term, where they learned about Malala Yousafzai’s United Nations speech, Megan Washington’s Ted Talk and Martin Luther King’s ‘I Have a Dream’ speech. Students were able to engage further with the concept of raising awareness of topics they are passionate about using their voices in a two hour workshop. The aim of the workshop and unit is to promote the student voice, allowing them the opportunity to learn how to speak out effectively about what they believe in.